UK Debates Money Creation £ !! For the first time in 170 years, the British Parliament is going to debate how money is created. From Bill Still, director, narrator, and producer of the documentary films The Money Masters and The Secret of Oz, both of which critique the system of monetary control by the U.S. Federal Reserve System. If you have not yet talked to an independent adviser about full diversification that includes alternative strategies, now is the time to start! Understanding the game is critical to planning the right investment strategy! Therefore, better investment guidance could come from identifying current & future capital flows, in other words follow the money. 1: Monitoring the Central Banking policies that drive liquidity, think QE and artificially low interest rates etc. 3: Debt levels in Public, private & household to identify debt service costs & desire to lend & borrow, directly impacting consumption, along with effects of increased tax liability. Bank to Depositors : It’s not your money ! Podcast from mcalvany weekly commentary. A must watch to better understand our debt based money system from the creation of bonds to the expansion of credit & who really benefits! 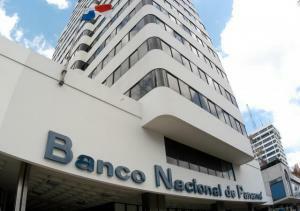 The National Bank of Panama announced that it has suspending all services until Tuesday the 1st of October. The National Bank of Panama claims that the reason for the 5 day bank holiday is to upgrade systems. The Clave (Debit Card) system has been taken offline. No wire transfers between banks and internationally until the 1st of October. This system wide shutdown has country wide implications. The National Bank of Panama did not warn the people before making the announcement and shutting down the banks. The people do not have access to ATM’s either. We received word of this from family members first. This weekend is payday for people across Panama. From noon tomorrow, Friday, September 27, until Monday, September 30, the National Bank of Panama (BNP) suspended its services to implement Phase II of the process of updating its technology platform.reported that BNP Saturday 28 and Sunday September 29 will stop using key cards at ATMs Banconal both the entity, and the rest of the banking network across the country. For this situation, it was reported that ACH transactions received through online banking on Friday until noon on Monday will be processed on Tuesday, October 1. People think that money is safe in the big banks because the FDIC will protect the deposits. This assumption is not based on the facts. This video will show official government documents that describe the plans for confiscating deposits when, (not if) a big bank fails. Individual, as well as public funds from municipal, university, county deposits are at serious risk. YOUR taxpayer money will disappear in the next crisis! Public officials in charge of taxpayer funds need to be aware of the dangers here. The loss of taxpayer funds and the inability to meet payrolls and obligations will certainly prompt a response that will both immediate and forceful. This video may be useful to present to public officials to inform them of the dangers of losing public funds under their care.